Ready to take your minimalist family on the road!?!?! Jucy has got you covered! 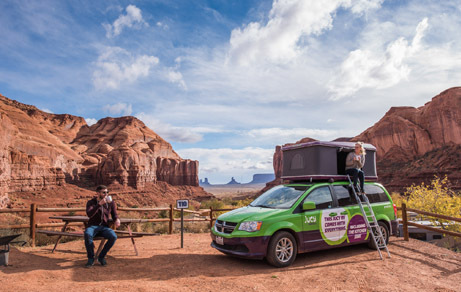 Jucy is a service that rents “mini-RVs” to allow a family the opportunity to do some serious road-tripping starting at just $65 a day. 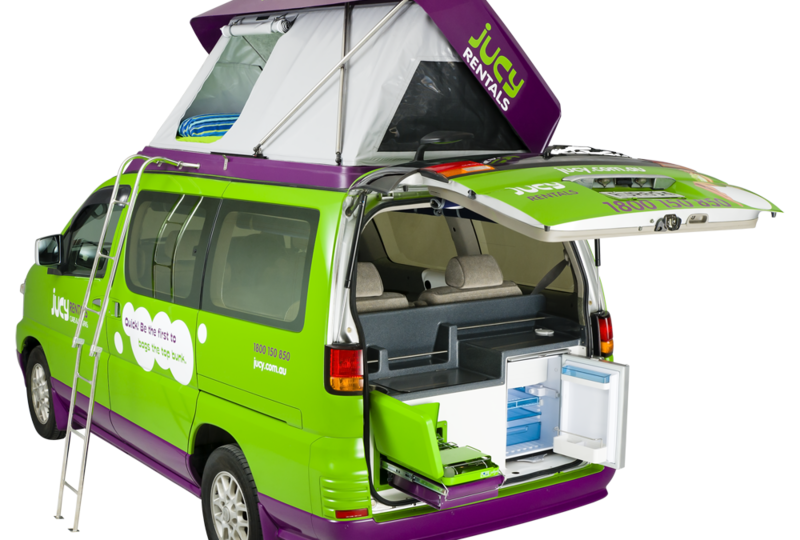 Operating in Australia, New Zealand, and the US, Jucy vehicles offer comfortable seating up to 5 and sleeping accommodations for up to 4. The RVs include a refrigerator, sink, dining table, pots and pans, cooking utensils, dvd player, couch, external picnic table, 5-gallon solar shower, and much more! Since this is all built out of a normal minivan, the fuel efficiency is around 21 miles per gallon…much better than the 6-12 miles per gallon an RV averages. Currently, the US pick locations are based in San Francisco, Los Angeles, and Las Vegas. We have not adventured with Jucy yet. Truthfully, I just found out about this company a few days ago and could not wait to share it! This is perfect for anyone wanting to explore the great west without having to lug a bunch of camping equipment across the country. 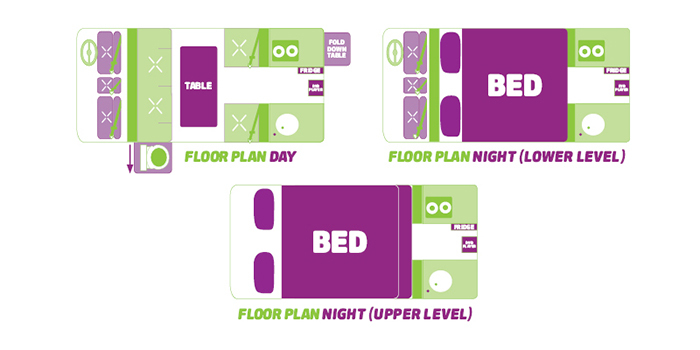 Jucy sets you up with pretty much everything you need and even gives you a packing list of recommended items to bring along. Super excited to try this out for ourselves. If anyone has used this service and has recommendations, please leave them in the comments below. Happy exploring!